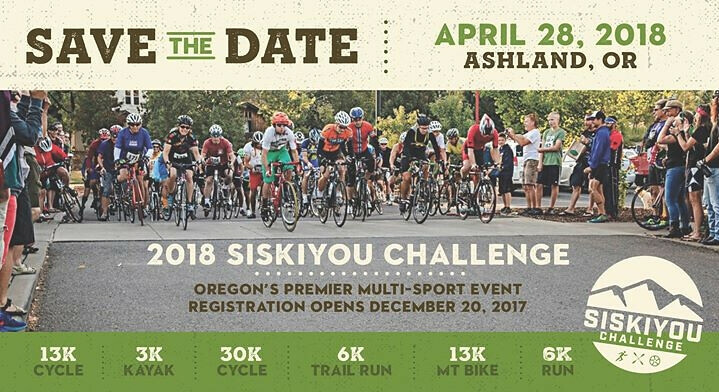 On April 27th, 2019 come join the 9th annual Siskiyou Challenge, a 6 leg, multi sport relay race in Ashland OR. This fund raiser race will raise funds for Rogue Valley Farm to School. This local non-profit helps educate children with hands on farm and garden programs to promote learning our food system. The Siskiyou Challange has a race course of 46 miles, held in Ashland OR. The race will begin and end at Science Works Museum, and feature six legs. Each leg will be challenging! Leg 1: 13K Cycle – Directs the racers from the start line to the first transistion area, Picnic B at Emigrant Lake. Leg 2: 3K Kayak – Just under 2 miles in a flat water kayak or on a paddleboard. Leg 3: 30K Cycle – Almost 19 miles of cycling on scenic rural roads through the valley’s orchards from Emigrant Lake to Lithia Park’s Swimming Reservoir. Leg 4: 6K Run – Hill climbers delight, a run up into the hills above Lithia Park. Leg 5: 13K Mt Bike – A beautiful ride up Ashland Loop Road, single track on the way down through a few of Ashland’s best-known trails. 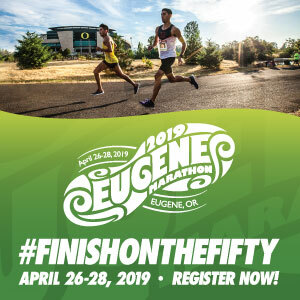 Leg 6: 6K Run – Leave Lithia Park to run the streets above Ashland, coming down to the bike path with a finish off on Walker Avenue to ScienceWorks for a party at the finish line. This race welcomes solo racers, duo teams and larger teams of 3-6. Duos and teams may divide the legs where they see fit. 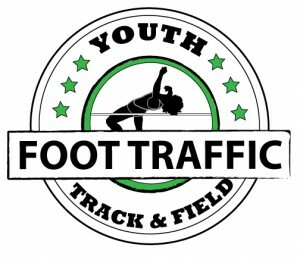 Mixed teams, will feature both males and female. Also held at the event will be a Health, Fitness and Outdoor Adventure Expo with festivities held all day. Registration for this event includes a delicious farm fresh meal (from Fry Family Farm), and local adult beverages from Common Block Brewing. Race awards will be held at noon. With all donations tax deductible, this is one race you do not want to miss.